We have continued to meet monthly...It is important that we keep up the pressure on the SHA — by April 2012 they will be abolished and re- sponsibility for fluoridation will pass to local councils (all of whom have objected to the decision). Despite this, the SHA is continuing to contest the Judicial Review, which will be held on 19th and 20th January 2011 — at a cost of £400,000. If you are unhappy about the decision made to fluoridate Hampshire's drinking water, there are a number of effective ways you can complain. Governments have reassured us that fluoridation will only be implemented where there is strong local support. This did not happened in the Southampton area. 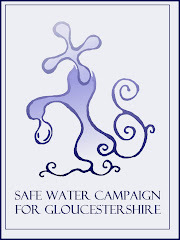 72% of the 2008 consultation respondents opposed water fluoridation. Write to Dr Harris the Chairman or Andrea Young the Chief Executive. It is also really worth complaining to the Health Ombusdman but this has to be done in two stages: Write a letter of complaint to the South Central Strategic Health Authority outlining why you are unhappy with the decision and what you feel they did wrong. You may do this by email if more convenient. Wait until you receive a reply, then if you are not satisfied, you can complain to the Parliamentary & Health Ombudsman by writing to your MP and asking them to pass on your complaint. Again, specify why you are unhappy, what you feel was wrong with the consultation and decision and what you feel should be done now.